Beverly Matujal is back in action with her second single! An independent artist who hails from the land below the wind, If I Fall In Love not only carries the same earnest quality found in her earlier works but for this time around, it showcases a more mature take in her songwriting. 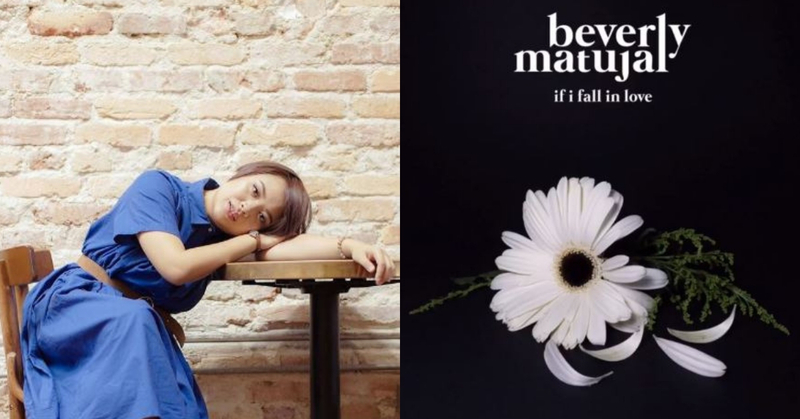 Beverly, who just turned 25 years old last October, has been writing songs since the age of 11. Heavily influenced by songs from the 70s such as Joni Mitchell, Sarah Mclachlan, and Carole King, her songs have captivated the hearts of many, specifically when she recently performed at the Rhythm of Rimba Festival. Currently based in Kuala Lumpur, Beverly is working on her 1st full length album that is due to be released in 2019. If I Fall In Love is produced by several big names from the industry, such as Irena Taib (of Impatient Sisters fame) and also award winning Indonesian producer, Ari Renaldi. This single which currently has 12,000 steams on Spotify also comes with a music video which was directed by Chris Fowler! Stream ‘If I Fall in Love’ on Spotify now!